Pix 'n Prose: Whoa. Where'd that tiredness come from? Whoa. Where'd that tiredness come from? 1. Sushi with my boys tonight. I love watching them together. 2. 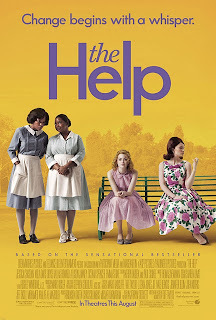 Saw The Help last night with my book club. (I was the only one with no eye make up on when we went out for coffee afterwards.) So if you're sensitive like me, you might tear up. Or, you know, sob. But if you're like the rest of the world's population, you'll just enjoy a good story. 3. Summer. I love summer. So, so much. And that's all I've got time for tonight.